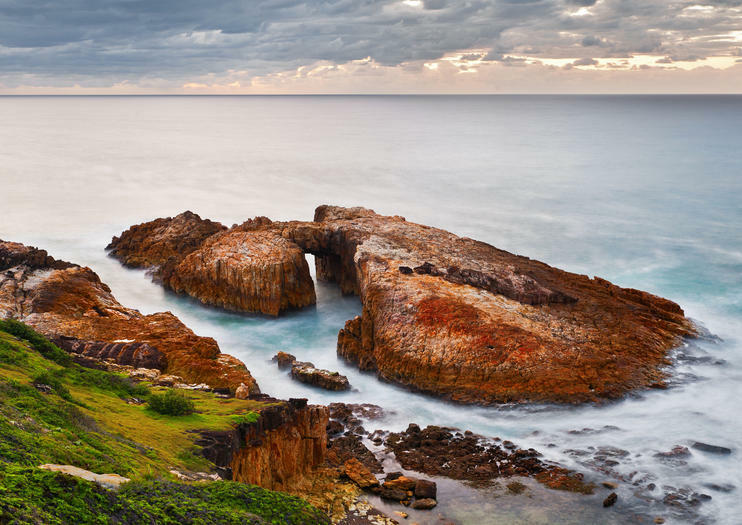 With its sweeping beaches framed by jagged coastal cliffs and remote bays dotted with dramatic rock formations, the Crowdy Bay National Park is home to some of the most dramatic coastal hikes in New South Wales. The sun-soaked beaches and wild coastal scenery isn’t the park’s only draw card – venture inland and you’ll find over 10,000 hectares of rugged bushland, shimmering lagoons and wetlands to explore. Popular activities within the park include hiking, fishing and camping, as well as swimming and snorkelling at the many beaches. The park is also renowned for its abundance of wildlife, with frequent sightings including eastern grey kangaroos, red-necked wallabies and koalas; birds like honeyeaters and eagles; and the possibility to spot whales and dolphins during the spring and autumn. Crowdy Bay National Park is located 271 km northeast of Sydney in New South Wales.